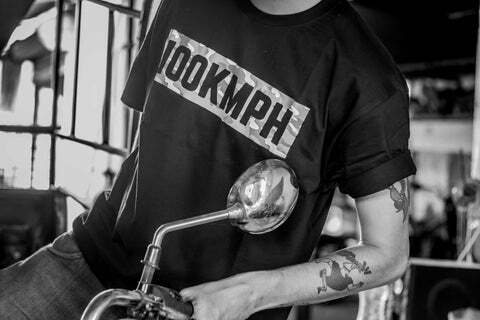 100kmph is a lifestyle brand for the speed loving community around the world. 100kmph describes the Speed, a Feeling that nothing in this world could overcome when you are riding your beloved motorcycle or driving your car. It's a bombardment of the senses and a pure display of passion. 100kmph is dedicated to everyone who is in love with anything that rolls on wheels, who has the adrenaline rush for speed and for all petrolheads for whom their Motorcycle and Car is life for them. Being India's first automotive apparel and accessories brand whose in-house designs are dedicated to the world of the automotive enthusiast. A one of a kind in house designs that you cannot find anywhere else. If you are an automotive enthusiast and want to wear your passion; then you are at the right place.